Patients having to wait up to 22 hours in mental health assessment suites in Norfolk and Suffolk is "unacceptable", leading experts have said. A BBC Freedom of Information request found that between January and July, seven patients had to wait more than 15 hours and three more than 20. Charity Mind said, on the whole, people should not wait more than four hours. The mental health trust said the average stay was five hours and it was working to keep stays to a minimum. People are brought to the suites, often by police, to assess if they need to be detained for mental health reasons. The BBC found that one patient at Hellesdon Hospital's suite in Norfolk had to stay there for 22 hours and 30 minutes in January, while in the same month another had to wait 20 hours and 10 minutes at the suite at The Woodlands in Ipswich, Suffolk. The FOI into the six suites run by the Norfolk and Suffolk Foundation Trust also found that 13 patients had to stay for more than 10 hours. During the seven-month period, about 340 patients attended the assessment suites. The delays could have been caused by staffing issues and problems in finding suitable beds for patients. • In Norfolk and Suffolk there at suites at Hellesdon Hospital, Norwich; The Fermoy Unit, King's Lynn; Carlton Court, Lowestoft; Wedgewood House, at the West Suffolk Hospital, Bury St Edmunds; The Woodlands at Ipswich Hospital. Dr Mary Jane Tacchi, special advisor on crisis teams for the Royal College of Psychiatry, said a 22 hours 30 minute stay at a assessment suite was "not acceptable". Dr Tacchi, who also also undertakes assessments, said: "We want it to be two to three hours in the way way you wouldn't wait that length of time to be assessed in accident and emergency." Geoff Heyes, of mental health charity Mind, said: "Mind would like to see anyone needing assessing under the Act to be seen urgently, within four hours, to ensure that the person gets the help and support they need as quickly as possible." 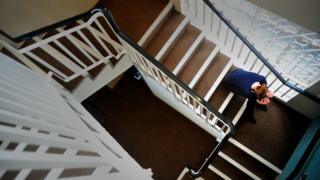 Deputy Police and Crime Commissioner for Norfolk Jenny McKibben added: "We can't afford to have officers, often two officers, waiting for people to be detained. That length of stay [22.5 hours] is totally unacceptable." She said police now had staff, trained in mental health care issues, to improve responses to incidents, as part of agreements between the police and mental health services. Debbie White, the trust's director of operations, said: "The average stay in a Section 136 suite is five hours. However, occasionally, the length of stay may vary for a number of reasons such as the time of day a person is admitted. "We have received extra funding from the Clinical Commissioning Groups (CCGs) in Norfolk. The investment in more staff will save having to divert other mental health specialists from their other duties. It also means police officers should be able to hand over some service users and leave much more quickly. "Our trust is also in discussions with the CCGs over plans to open 10 assessment beds at Hellesdon Hospital to ease the pressures on inpatient beds." The trust has had to make £20m of savings over the last two years, but is still facing a £1m deficit this year.